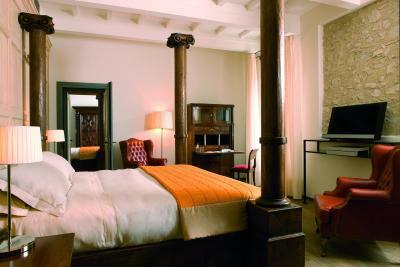 Lock in a great price for Relais & Chateaux Palazzo Seneca – rated 9.5 by recent guests! 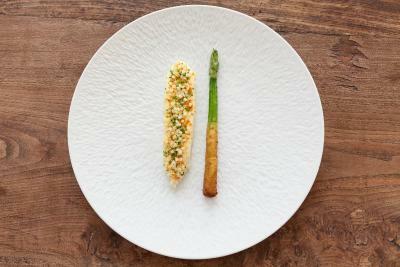 The resturant was everything you would expect from a Michelin Star . Excellent and friendly staff. It is a lost gem in the middle of Italy. We liked everything despite its remote location. It is a lovely place to stay away from urban life and enjoy nature and the peaceful setup of a small town in the countryside. 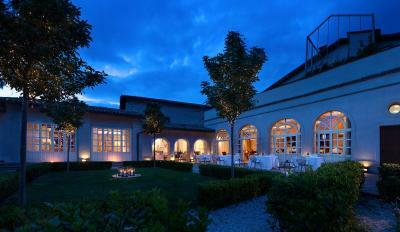 This hotel is an oasis in Umbria. The breakfast was fantastic. The staff was so friendly. This was our favorite room on the trip so far. The shower omg. Please know that Norcia has been devastated from a massive earthquake. But don’t let this stop you. The town people were wonderful. The flowers were blooming in nearby Castelluccio. (Which is completely destroyed ). 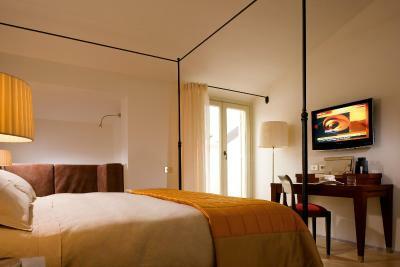 Super hotel in Norcia. Service and facilities are first class. Restaurant outstanding. Amazing luxury hotel and in a remote town. 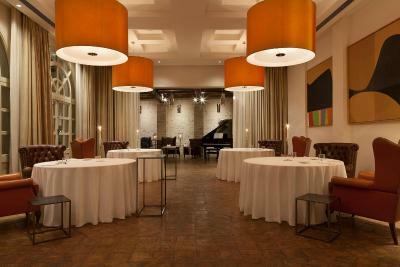 Staff were very helpful and the and the quality of the hotel was well above our expectation. The chateau is very nice and the room is very comfortable. The staff is very friendly and helpful. The staff were amazing. They made us feel welcome. The location of the hotel is in the lovely albeit being restored town center, The quality of the towels, bed linen and mattress are excellent, The 'superior room' size is generous with stocked mini-bar and tea/coffee facilities, Good quality slippers and toiletries appreciated, The staff are all very attentive and well presented, they offered great suggestions for activities and dining, We had a wonderful meal in their Vespacia restaurant that was well worth the expense. I would 100% encourage travelers to visit this region - the landscape is dramatic and ever changing, the people are very friendly and welcoming and there is lots to explore. 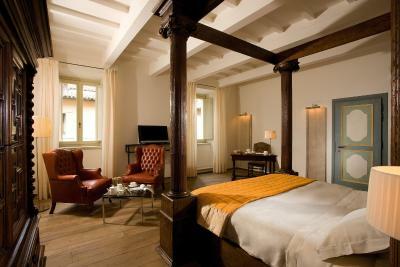 Relais & Chateaux Palazzo Seneca This rating is a reflection of how the property compares to the industry standard when it comes to price, facilities and services available. It's based on a self-evaluation by the property. Use this rating to help choose your stay! 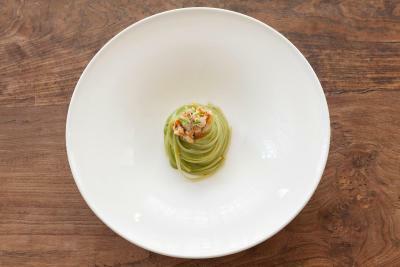 One of our top picks in Norcia – and a guest favorite. 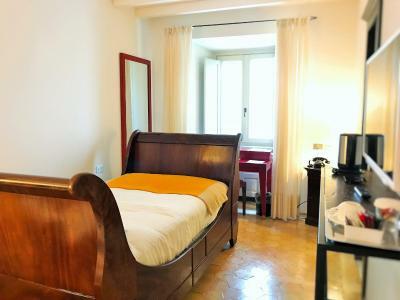 Palazzo Seneca offers free WiFi and modern, elegant accommodations in an antique palace located 150 feet from the main square in Norcia’s historic center, right by the enchanting National Park of Monti Sibillini. There is a small free spa, which includes a hot tub, Turkish bath and sauna. 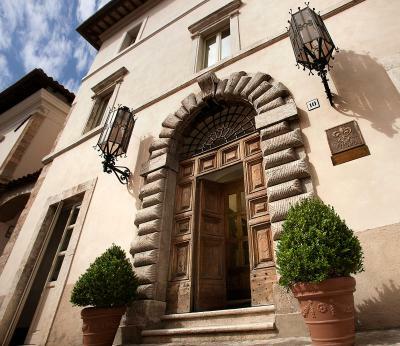 The palace that houses Palazzo Seneca was originally built in the 16th century. 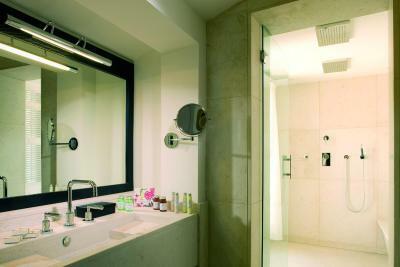 Along with all modern comforts and a contemporary sense of style and design, the hotel features a timeless atmosphere. 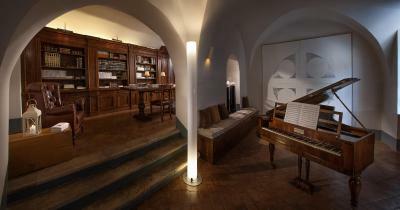 Highlights are a private garden, a lounge with live jazz music played often and a charming library with authentic rare books. 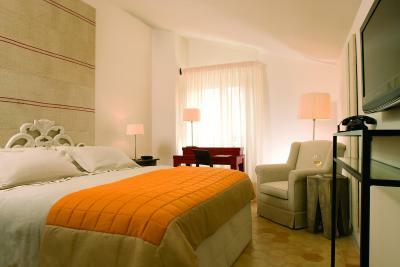 Each guest room has its own décor and personality. 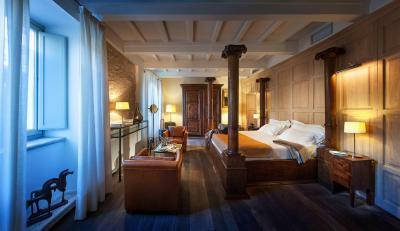 They feature romantic wrought iron poster beds, designer bathrooms and luxurious fittings. 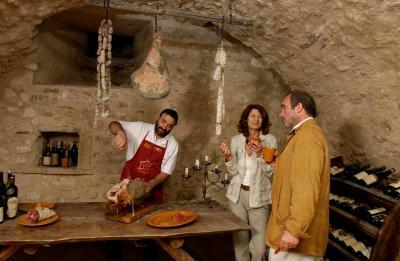 The Vespasia gourmet restaurant features famous local products, including Norcia sausages, black truffle and lentils of Castelluccio. A sweet and savory buffet breakfast is served daily. Water, tea and homemade cakes are available in one of the communal areas. Guests can enjoy free access to the Centro Sportivo Bianconi sport center located 1,150 feet away. The National Park of Monti Sibillini can be explored in hiking, trekking and mountain biking outings as well as in guided tours. Some of the highest peaks of the Apennines can be found in the area. 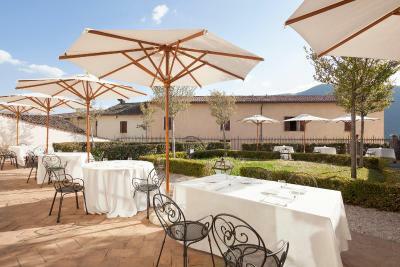 This property also has one of the top-rated locations in Norcia! Guests are happier about it compared to other properties in the area. 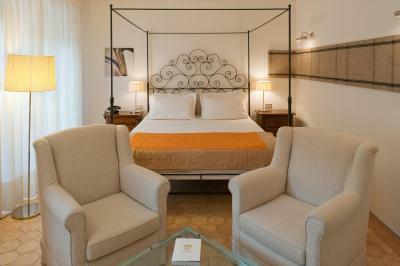 This property is also rated for the best value in Norcia! Guests are getting more for their money when compared to other properties in this city. 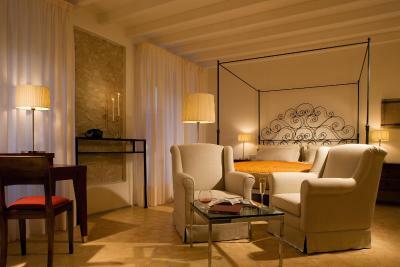 When would you like to stay at Relais & Chateaux Palazzo Seneca? With an LCD TV, CD and DVD player. This room comes with a free mini-bar and free WiFi. With an LCD TV, CD and DVD players. This room comes with a free mini-bar and free WiFi. This soundproofed room has a seating area and a parquet floor. With an LCD TV, CD and DVD players. This room comes with a free mini-bar and free WiFi. 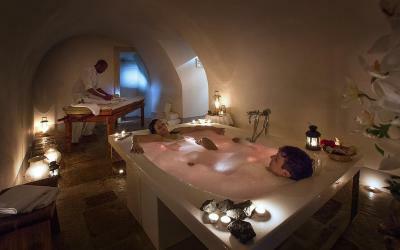 House Rules Relais & Chateaux Palazzo Seneca takes special requests – add in the next step! Relais &amp; Chateaux Palazzo Seneca accepts these cards and reserves the right to temporarily hold an amount prior to arrival. Relais & Chateaux Palazzo Seneca accepts these cards and reserves the right to temporarily hold an amount prior to arrival. Please note that free parking is 1,150 feet away. Please note that spa treatments come at a surcharge. Please note that mountain bikes can rented free on site and are subject to availability. 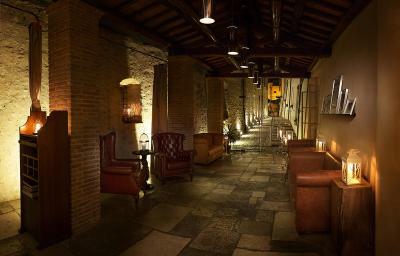 Please inform Relais & Chateaux Palazzo Seneca of your expected arrival time in advance. You can use the Special Requests box when booking, or contact the property directly using the contact details in your confirmation. Luxury rooms and grandeur about the place. Total sophistication. Unfortunately our bedroom window faced a brick wall so although very comfortable we had to have the lights on in the daytime. I do think that being of season and with the hotel standard being so high and with their occupancy visibly very low it would have been thoughtful for the management to allocate us a room further down the corridor that had a less obstructed view and more daylight - You can always stress to your guests that you are doing this as a special courtesy in low-season so their room expectations are managed should they return on another occasion. However - I do appreciate that we had already been given an upgrade to a 'Superior Room' without requesting it so we did not ask to change rooms due to the lack of daylight. Amazing hotel with the most helpful staff. They took care of everything. Breakfast is delicious. I’d recommend making the food menu a little clearer. We had a big lunch so weren’t overly hungry. If we would have known there would be 4 complimentary starters we probably wouldn’t have ordered a starter and a main as we left feeling really stuffed. I’d also probably make the dining room a bit ‘warmer’ and lose the arm chairs as it makes it difficult to eat - especially at round tables and for short people like myself. The hotel is in a beautiful area with commanding views across the valley. As soon as we arrived, Michaela was terrific. She had lots of information about the area and took the time to show us around the hotel and offer ideas for restaurants. In the end we chose to eat at the Hotel’s restaurant - Vespacia - and it was terrific. 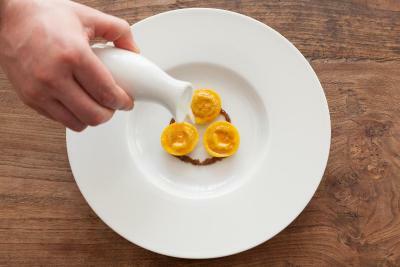 My husband and I usually hate fussy food with foam and we were pleasantly surprised. The pigeon with beetroot was amazing, and the complimentary starter of spaghetti was the best I’ve ever had. In addition - Michaela had a bottle of Prosecco chilled and waiting for us as it was our anniversary. They also had upgraded our room and gave us a complimentary dessert for dinner. Can’t say enough good things about this place. The jacuzzi and steam room were also terrific as was the terrace for sunset. This is a beautiful property, with friendly staff. 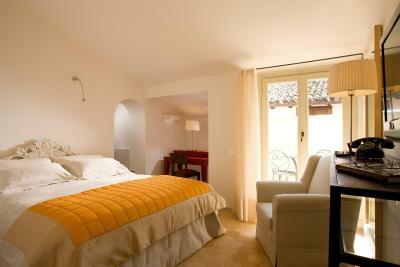 The rooms were well appointed and comfortable. There are ample public spaces, indoors and outdoors, to relax if you want to. Norcia is a lovely village with good local bars and restaurants. We would definitely stay at this hotel again. AC needed to go colder. The quilts at the bed were far to heavy, big and warm for Nordic people like us. 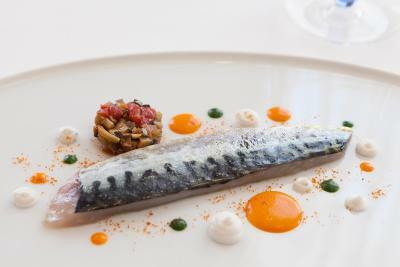 Almost everything, but specially the staff and the fantastic breakfast with excellent personal service and recognition. 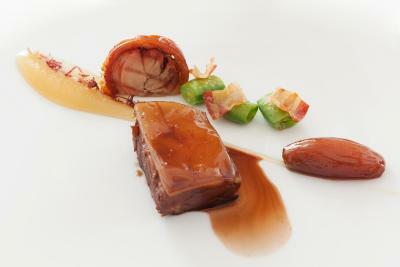 And of course the chance of eating great gourmet food at the hotels restaurant. Not being able to stay longer ! Everything ,the room was large ,sparkling clean ,with a nice view . The staff were friendly & courteous free parking was available outside the hotel. The breakfast was divine , the best we’ve found anywhere , it left us wishing we had dined in the hotel restaurant .! 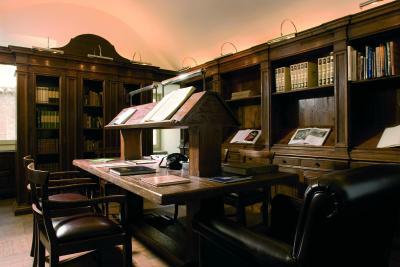 The other facilities ,such as the lounge areas ,library ,& conference room were excellent .